Do I Have to Tell the Father? Can You Put a Baby Up for Adoption After Birth? Why Do Women Decide to Give a Baby Up for Adoption? Can I Place My Baby for Adoption if I am Pregnant and Addicted? What Kind of Adoption is Right for Me? How Does Infant Adoption Work? How Much Does it Cost to Adopt? What is a Home Study? How Long does a home study take? How Much Does a Home Study Cost? What Information is Included in a Home Study? Does Time Heal All Wounds? Posted on October 9, 2015 at 2:42 pm. Adele threw up three times during the car ride to her first open adoption visit with her child and their adoptive family. She felt sick and irritable, snapping at her social worker, who was driving the car, and listening to angry music on her headphones while she stared out the window. It turned out that the lead-up to that first visit was the hardest part of the whole thing. When they got there, saw Adele’s daughter and her adoptive family, and started talking and playing, Adele’s queasy stomach and bad mood faded. But when they left after a few hours, her anxiety was replaced with sadness. She spent the ride home thinking about how different things would have been had she chosen to parent her daughter instead of making an open adoption plan. The following year, Adele had butterflies in her stomach on the way to the visit, but she didn’t get sick. She chatted with her social worker and left her headphones at home. The visit itself was as lovely as the first, although the sadness returned when Adele got back in the car afterward. Open adoption is always painful, but the emotional crisis itself does pass. Often, a birth parent’s first visit with their child and their child’s adoptive family is extremely emotional. The pain of the separation is still very raw, and the hurt – and even regret – might seem unbearable. Time doesn’t “heal” the pain of adoption any more than it “heals” the pain of the death of a loved one, but it does change the pain. The first year after an adoption placement can feel like an emotional thunderstorm, but as time goes on, the storm ends, the clouds start to part, and the sun starts to peek out from behind them. It might not turn into a beautiful, sunny day, but it can slowly become calm. It can become peaceful. Adele told her social worker after both her first and second visits with her daughter that she felt very sad but also extremely glad she’d gotten the chance to spend time with her and see how happy and healthy she was. Today, several years after placement, she still feels anxious before her visits and sad afterward, but she loves those visits and she never gets sick before them. Time might not have healed her wounds, but it has taken away the sting. What do you think? 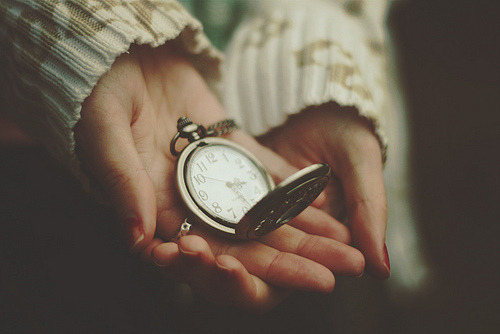 Does time heal all wounds? How have your emotions about your placement changed over time? On the Blog: "Adoption and the Teen Years: Understanding Adoption and Adolescence"